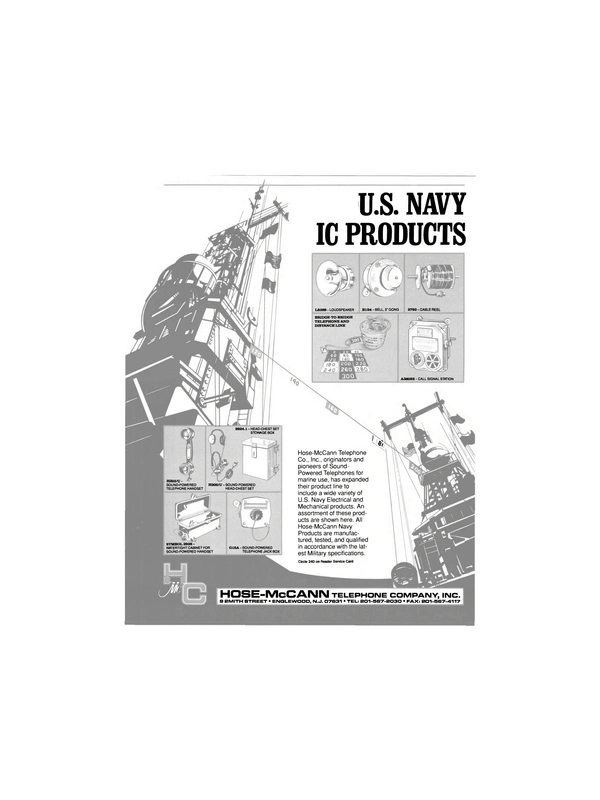 Baldt, Inc. has been awarded four c o n t r a c t s for approximately $1,000,000 by Ingalls Shipbuilding for manufacturing anchor, chain and hardware for four ships being constructed for the U.S. Navy. The announcement was made by Philip J. Carcara, president of Baldt. Baldt will manufacture two 40,000-pound USN stockless anchors, 26 shots of 3-1/2-inch USN stud link chain and hardware for LHD-4 being constructed in Pascagoula, Miss., during 1991 to complete the first contract. The additional contracts involve three DDG-51 vessels to be constructed for the U.S. Navy by Ingalls. Baldt will manufacture 4,000- pound USN LWT anchors, 9,000- pound USN stockless anchors, and 1-7/8-inch USN stud link chain, plus hardware, at their facilities in Chester, Pa., to fulfill the contract. Baldt is a leading manufacturer and supplier of mooring system components for the marine, offshore industries, and specialized industrial applications. Baldt manufactures grades 2, 3, oil rig quality, and marine/railway chain in sizes from 3/4-inch to 4 inches. All of Baldt's products are certified to meet regulations of the American Bureau of Shipping, Lloyd's Registry, Det norske Veritas, the U.S. Navy and the American Petroleum Institute.